Mercator Advisory Group’s recent market assessment indicates a growth in the closed-loop prepaid market, increasing by 13 percent since 2009. A closed-loop prepaid card may only be redeemed where it was purchased, whereas an open-loop prepaid card can be used at multiple locations. Growth in the closed-loop prepaid market has been driven by the In-Store Gift Card segment, which continues to grow and develop as retailers move from thinking about prepaid cards as a plastic version of paper gift certificates to a multi-functional promotions and sales tool," says Ben Jackson, senior analyst in Mercator's Prepaid Advisory Service and author of the report. 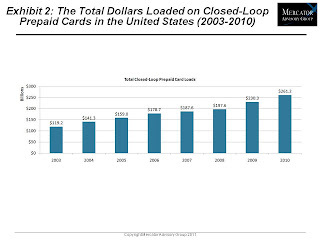 The growth in the close-loop prepaid market coincides with our nation’s recession. Are more Americans relying on prepaid cards during this economic hardship? What other factors could potentially affect the rise of closed-loop usage? 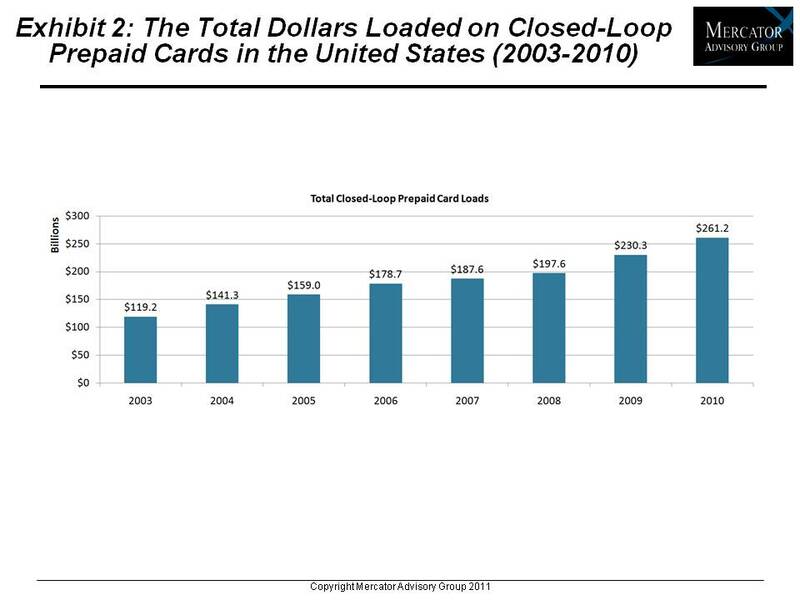 Mercator Advisory Group’s chart below measures just how far closed-loop prepaid cards have grown in the U.S. within the last seven years. For full size image click here. To learn more about prepaid cards or our 2012 expo please visit www.prepaidexpousa.com.